People have always had a love of the water, and these ten houseboats show us exactly how crazy people can get when they design a houseboat for fun and pleasure. 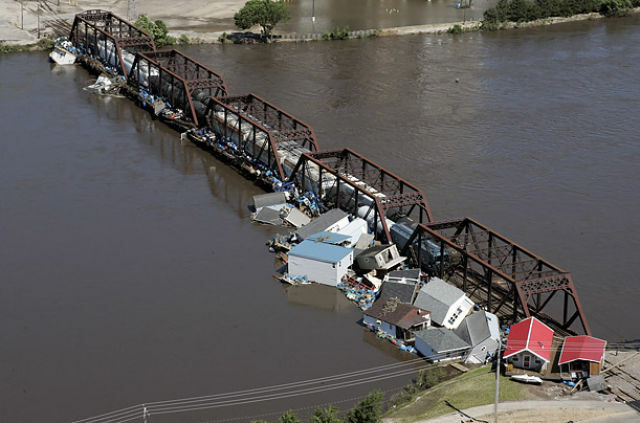 June 2008, the boat houses from Ellis boat harbor and other debris get smashed against the railroad bridge near Timecheck in Cedar Rapids, Iowa. This boat is called the “silberfisch” which means silverfish. It is creating quite a stir for his modern look and unique shape. You make the call on this one. It could go either way! This is a gorgeous example of a relaxing housebat. 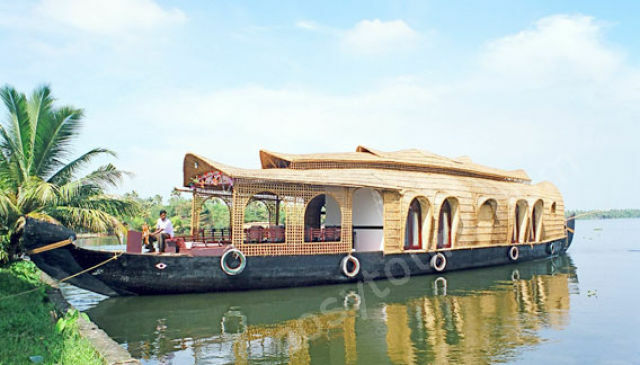 This one is called a Kerala House Boats and believe it or not they are created without using a single nail in the actual boat. Now that is amazing! Not Amazing, but it Floats! 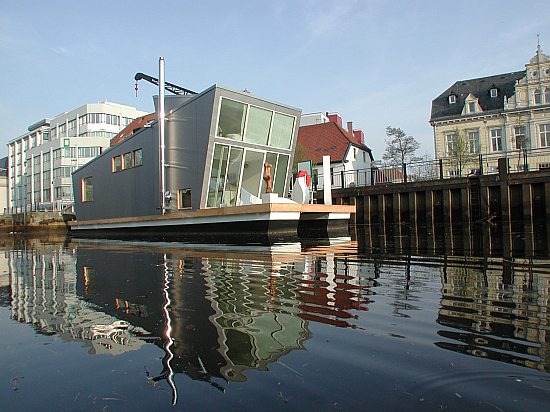 Everyone can have a houseboat, just look at that! 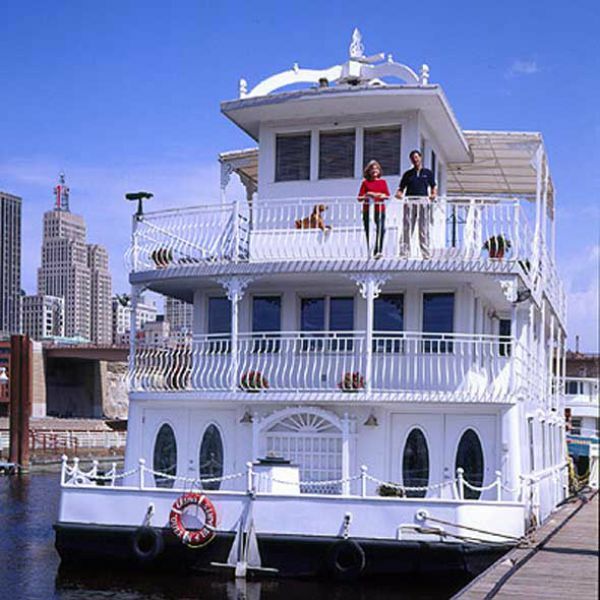 Luxury Houseboat in St. Paul. 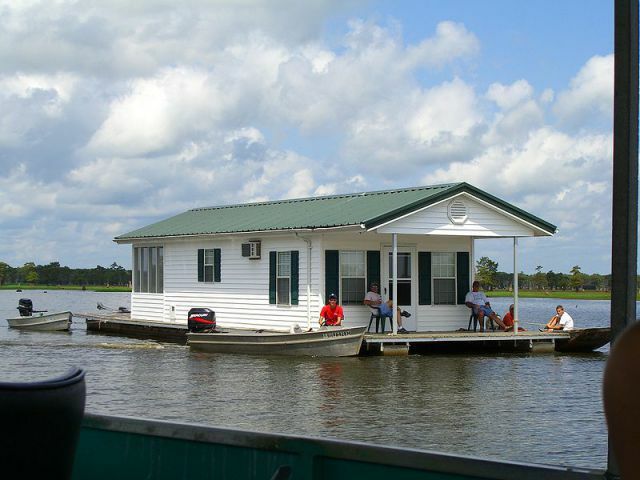 This lady sold everything she owned to purchase and possess this gorgeous houseboat. 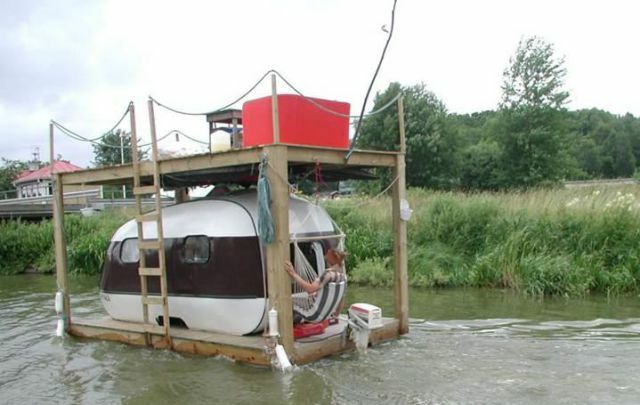 Who said you needed water for a houseboat? 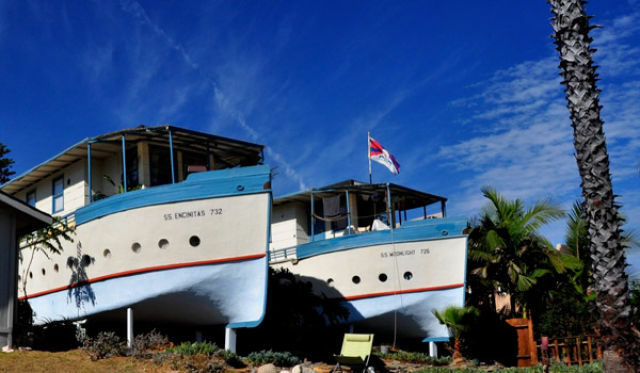 These beached boats are homes and they are boats, so they are houseboats. These house boats were created in 1925 and were a hotel and bath spa. They can now be found in Encinitas, Ca. 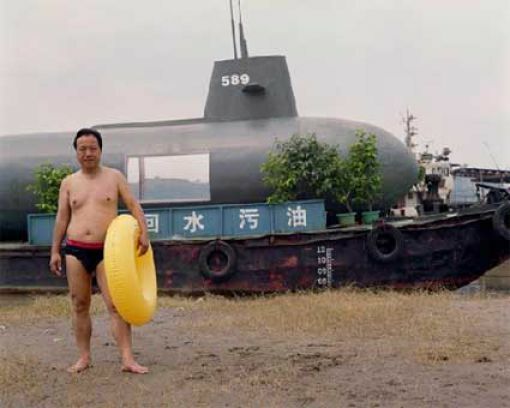 This guy decided to have a sub house, but hey it is a water going vessel. 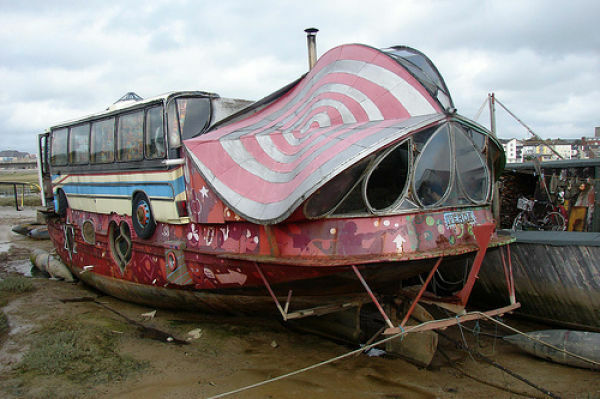 Adur Shoreham is full of unusual and interesting houseboats. This is just one of the many interesting house boat finds in the water. 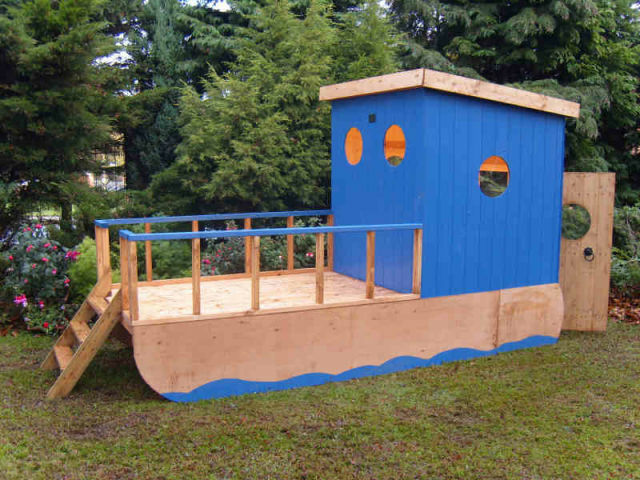 many years ago I wanted to convert a rice barge into a houseboat on the Bangkok river - My wife was not having any part of that idea. She declared " I want a address and house papers"
Do you need to pay house taxes over these boats? designed for Operation Overlord. Deck rig for aircraft landings. allows low tide beaching on hard flat bottoms up to 5 degrees. Moon pool hatch for s.c.u.b.a. Vessel intended for coastal use.